Fuel cells cleanly and efficiently convert chemical energy from hydrogen-rich fuels into electrical power and usable high-quality heat in an electrochemical process that is virtually absent of pollutants. Fuel cells are non-polluting energy resources. It cleanly and efficiently converts chemical energy from hydrogen-rich fuels into electrical power. 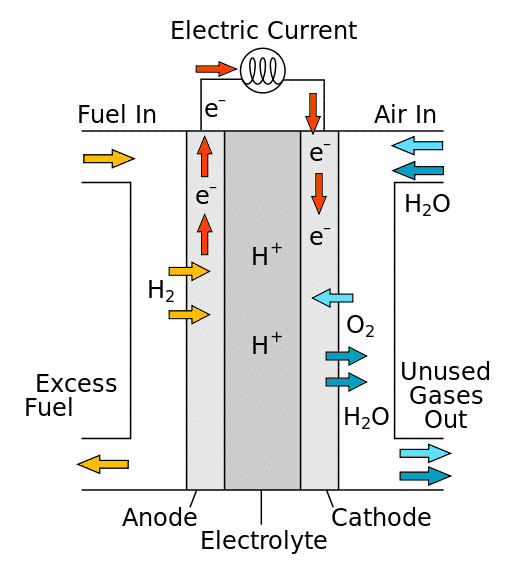 Each fuel cell consists of an anode, a cathode and an electrolyte layer. 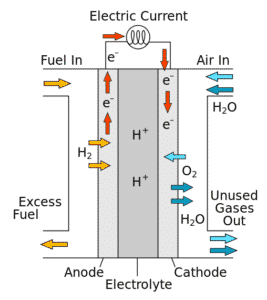 When enters hydrogen the fuel cell stack, it reacts electrochemically with oxygen (i.e. ambient air) to produce electric current, heat and water. Hydrogen can be derived from natural gas or renewable biogas. The electrochemical reactions result in the flow of electric current between the anode and cathode. The produced current is direct current (DC) that can be then converted to alternating current (AC) power using an inverter circuit. Because there is no combusting of fuel, no harmful emissions are generated by the fuel cells.